Did you ever wonder what web traffic is exactly? Well, it’s basically the amount or volume of traffic or visitors you send to your website and ultimately receive it. This is, most probably, the principal element of Internet traffic and is recognized by the number of people visiting your site and the number of pages they view whilst they remain and pursue your web site content. Web traffic can easily be investigated by analyzing your traffic statistics (which can be found in the log file on your web server), your log file is an automatically-created list displaying all the pages viewed. By default, every page or post on your blog/website is considered as a file and it is marked as one hit. Pages themselves are considered as files, however, images are also considered as files, so a page with 4 images could produce 5 hits (consisting of the page itself and the 4 images). Page views are generated when a visitor accesses (visits) any of the pages within your website – any visitors you receive at your website (whether they’re there intentionally or by accident, whether they stay for a few seconds or several hours). All these factors will be registered (in the log file on your web server) and hence, the visit will always generate at least one pageview (usually the main page) but, your visitors could, with good quality content and inviting navigation, generate many more page views. One of the most widely used tools is “Google Analytics” where you can see all these elements of your blog traffic. How do I get Free Traffic to my Blog? Some marketers have more traffic benefits than others when it comes to getting traffic to your blog. Some blog marketers may have more money, may have more friends (networks), or may have lined up joint ventures to help start their blog business. These advantages simply do not exist for most bloggers, though, they must start without traffic from ground zero and work their way up to a successful blog with hundreds or even thousands of visits a day. While this is possible and always happens, most bloggers have no idea where to start and have no idea how to get targeted traffic to their blog? Or they know how to get traffic to their blog, but they’re just too lazy to do the work they need to drive a ton of traffic. The bottom line is traffic, no matter what the case may be, and whether you don’t know how to get it or are just lazy to get it – in the end, you won’t earn much money without it. But the best thing about traffic generation is that once you see what works for your blog, you can turn it into a business system that brings you a predictable number of sales each month. Maybe the best thing about traffic generation is that without spending a dime, you can do it. Okay, you can get free traffic to your blog. This might be one of internet marketing’s best things. Using forums is one of the best ways to start driving traffic to your blog. Forums contain the exact people you’re talking about in your blog. You can join a forum and quickly become a recognized information sharing expert. People will want to hear or read more of your information in return, so they will visit your blog through the signatures you leave after posting. Sending newsletters, updates, and information to your visitors after they have become a subscriber is great to increase blog traffic. To do the same thing, you can use email newsletters. A great way to build credibility and build lifelong customers is to send out timely emails giving your readers tips on how to do something better. Include a blurb about your blog at the end of each email and lead visitors back there. As a result, you can take advantage of the daily repeat traffic that your email newsletter brings alone. And if you have Google AdSense or affiliate programs integrated into your blog, you can take advantage of both of these online sources to increase revenue. Another great way to get your blog traffic is by trading links to similar blogs and websites. If some of these blogs and sites have a high page rank with Google, then there is a dramatic improvement in your chances of moving up in the search engine rankings compared to if nothing has been done. When you’re linked to another blog, it’s usually because you had a really good blog post, and the blog owner found your content to be very useful. Without knowing it, people will link to your blog, giving you a one-way backlink to your blog. 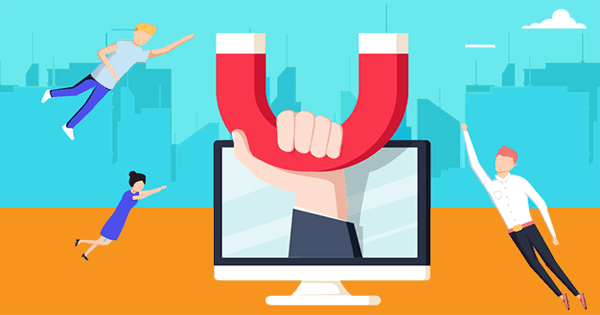 One-way backlinks are powerful because it suggests you have something of tremendous value in your niche for people that’s what the search engines like to see. Two-way backlinks aren’t as powerful but are still good as they suggest you and another blog are partnering with each other to share a link. 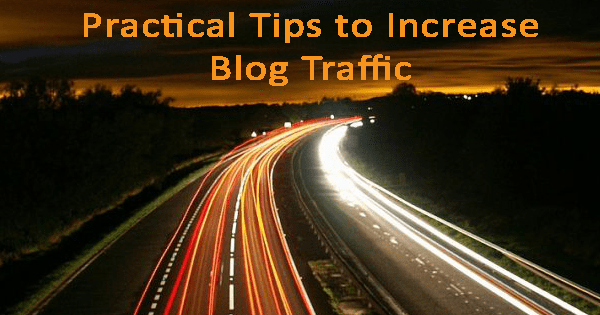 Consider also writing articles that might bring traffic back to your blog. For the immediate publication of your content and possible traffic to your site, you can write articles and submit them to any of the major article directories. The likelihood that you will receive traffic from your articles is high, and this is one of the main ways bloggers constantly drive traffic to their blogs. Also, make sure your blog is search engine friendly when you create your blog. Include relevant keywords throughout your blog so that you can be found by the search engines and rank you high for a specific keyword. Also, be sure to write and post frequently to your blog as the search engines love new and fresh content. The more relevant content you provide to the search engines, the more they visit you and index the search results to your pages. Just make sure that posting is not overdue on a daily basis as it can be considered spamming. You don’t want to consider your valuable blog as a “splog”-or a blog of spam. 1-3 posts a day are a great start, and eventually, you will get the targeted visitors you want. When marketing your blog online, keep these great blog traffic tips in mind. Studies show that the more frequently your blog is updated, the more traffic it gets. Google prioritizes fresh content websites, so if you want more attention from the search engines, update your blog at least twice a week. Share every new blog post, including Twitter, LinkedIn, Facebook, Google+ and Pinterest, across your social media networks. If you spend time cultivating your networks and sharing great content, some of your top traffic sources can be social media sites. The titles are nearly more important for your blog posts than the content itself. That’s because titles help potential readers decide to click and read more. Pay attention to the titles of the article you see on the cover of the magazine. With promises and solutions, they attract readers. Your readership will increase if you do the same. While you may be interested in marine life, exotic travel destinations, baseball in the Little League and weight loss, if your content does not follow a clear theme, you will confuse your audience. Decide who your target audience is, what they want to read, and what particular messages you want to deliver. Studies have shown that photos are boosting readership in blog posts. Not only does a photo make the post more visually pleasing, but you can also include keywords on the photo I, boosting the optimization of your site’s search engine. Keep in mind that you can’t just pull pictures from Google because you risk infringing copyright laws. Instead, from a site such as Clipart.com, locate royalty-free images. Keywords are at the heart of SEO when it comes to SEO. One of the easiest ways to make your website more traffic is to make sure that each page on your site has a keyword strategy. So choose one key phrase you think readers would use to find that post for each blog post you write. Next, include that phrase in the post title, the page headline, within the page content at least twice, in a page image featured and also as part of the page link. The concentration of keywords helps Google understand the meaning of this page, which can ultimately lead to more search engine traffic. Make sure to include social sharing buttons for Twitter, LinkedIn and other major social networks at the top and bottom of your blog posts. Make spreading the word easy for readers. Google owns YouTube, one of the many reasons videos can drive your site more traffic. Supplement your blog’s written content with informative and entertaining short videos. If you think your audience spends time on Facebook, invest in sponsored posts from time to time. You can “boost” a post for as little as $10 and significantly increase its reach. Apart from above, use lots of subheads, bullets and numbered lists to make your content easy to read. Promote your blog in any online profiles in your email signature and your bio. Make subscribing to your RSS feed easy for blog visitors and Invite readers to leave a comment, then reply and let them know that you are committed. And Finally, with your blog, have fun. If it feels like drudgery, it will notice your readers. But if you enjoy producing the content, it will come across and impact your success tremendously. Why Do Bloggers fail to Drive Traffic? Blogging is considered one of the most effective ways of increasing sales for your business venture in today’s marketing industry. In order to regularize their source income, most bloggers rely on blog traffic. There are several fundamental factors that can be implemented to increase revenue for your blog site to increase a steady flow of blog traffic. 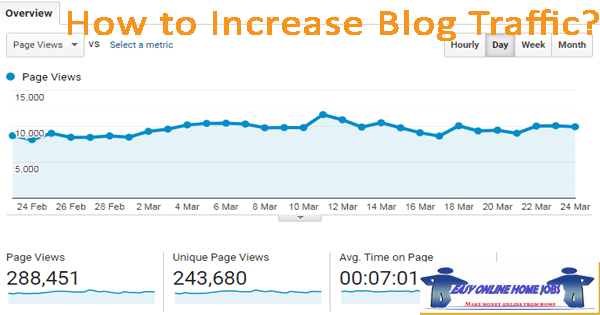 This article will give you some useful strategies that can be used to increase your blog’s traffic flow. For new and experienced bloggers alike, the tips to be given are highly recommended. Many people are not aware that this is mostly due to poor content when blog traffic is extremely low. Strategic methods need to be implemented in order to get the most out of your online blogging career. To increase blog traffic, you need to create substantial content that will attract viewers willing to read the content as a whole. The blog should be frequently edited and updated, ensuring that written content is always compact and informative for viewers to fully understand the message being communicated. If a blogger conducts in-depth research on an issue, writing a blog about it will help others with similar difficulties and these people can relate to your blog. As a blogger, your goal is to improve your ranking in popular search engines like Yahoo, Ask, Google, MSN, etc. You will be required to submit your blog URL to get your content crawled by search engine spiders, which will also enhance your website blog traffic. While your website will not be ranked top in Google after your submission, you will be rewarded in time by following Google’s friendly strategies and maintaining your efforts. Reciprocal linking and linking can also be used to increase blog traffic. Provide several external links and provide trackbacks to keep in touch with other bloggers with similar domain knowledge. Readers from different blogging websites will also visit your website link and this technique will be positively accredited by search engines. I hope you really enjoyed reading this article and I always welcome new comments about this article.